When we think of the start of summer, we remember the first camping trip of the year. For us, that means grilling over mahogany hardwood, a local hardwood that burns pretty hot. We grill things like steaks, locally made sausages and asparagus from our garden. 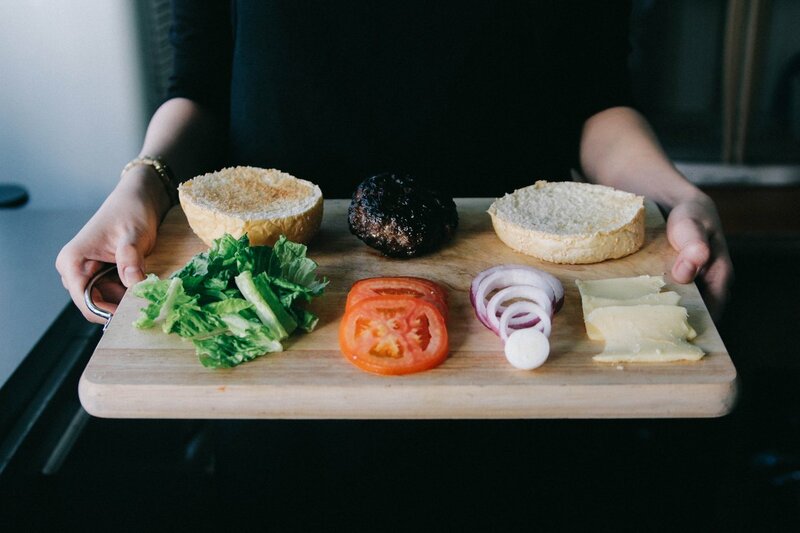 For a festive Memorial Day menu, you just can’t beat a juicy burger hot off the grill and a crisp, tossed summer salad.When it comes to original twists on classic American dishes, burgers and salads are our specialty. Of course the basic bun, patty, lettuce-tomato-onion recipe tastes just like summer for most of us, but if you’re looking to crank up the flavor to 11, check out our tips for the perfect Memorial Day burgers and salads. You’ll be sure to wow your tastebuds and show off your BBQ-chef skills with these chef tips. The Meat. Start with the best possible meat you can get. The higher quality the meat, the better the burger, simple as that! It’s all about that crust. To us, a perfect burger is determined by the crust, or Maillard reaction, caused by cooking on high heat with a grill or a pan. Cooking on the grill. We suggest cooking over high heat for a couple minutes on each side, then move the burger to a colder side of the grill to finish cooking to the doneness you prefer. Cooking on a pan or stove. We recommend high heat for a couple minutes on each side, then turning down the heat and basting it with a little butter, garlic and fresh herbs until the doneness you prefer. Seasoning. Keep it simple! Salt and pepper always does the trick to great ground beef, lamb or any other red meat. For turkey or chicken burgers, you can get a little more creative and add your favorite spice blends. We also suggest to add a little bit of fat to these since the percentage of fat will most likely be less than a red meat based burger. We like to add things like eggs, mayonnaise or whole milk yogurt. Go ‘head, flatten the patty. We’re sure you’ve heard it’s a big NO to smash your burger, as it will squeeze the juices right out of it. But if you’re looking for a crispier burger, smash away. For each burger, we suggest preparing two patties on the thinner side, with a slice of your favorite cheese melted in the middle. Make the bacon weave. For the ultimate bacon burger, it’s worth taking the time to weave the bacon to create a more durable, flavorful layer. Keep the fat below 20% For a perfect burger, it’s best to have less than 20% fat so the whole patty doesn’t melt away on the grill. Try a twist on the basic burger. Classic burgers will always reign, but why not try something different? Spice things up with a kimchi burger. We like this easy-to-follow recipe. Swap beef for lamb or bison. If you plan on holding a more intimate BBQ, then upgrading your burgers to lamb or bison will take your spread to the next level. With lamb burgers, less is more, so leave all the extra herbs, spices and condiments in the kitchen. We’ve seen a lot of lamb burgers fall flat because of too many flavors competing with each other. Limit seasoning to the exterior of the patty. We’re a fan of this Mediterranean style Lamb Burger. Dimple your burgers. When preparing your burger patties, make a dimple in the middle. This will keep them from contracting and bulging as they cook. Start with fruit. For great summer salads, we always start by figuring out what fruit to put into our salad. We have amazing, locally grown fruit here in the Reno/Tahoe area, so take advantage of it! Add sliced, fresh fruit, such as any stone fruit or berries to your arugula or mixed greens. It’s all in the ingredients. The key to a fresh summer salad is (of course) the freshest of the fresh ingredients. Chef tip: select each ingredient with the same enthusiasm as the main event, and the whole dish is sure to be bright with summer flavor. Head to the Farmer’s Market or the Great Basin Co-Op for the best salad fixings. Add roasted, salted nuts, a fresh cheese that you prefer, such as chevre or feta, sliced red onion or scallions. and either a white balsamic or balsamic vinaigrette and you have the perfect summer salad. Prep, prep, prep! Before assembling your salad, prep each ingredient separately and chill them in advance. This is especially helpful if you have boiled eggs or potatoes in your recipe. Make your salad dressing. For a truly gourmet salad, you’ll want to whip up the dressing yourself. The flavors are stronger, the love is apparent and you’re bound to impress your guests. Season your leafy greens. Seasoning your green base for the salad makes the difference between a bland dinner side and a light and bright entree. Not much is needed for seasoning, just a little sea salt and black pepper will do the trick. 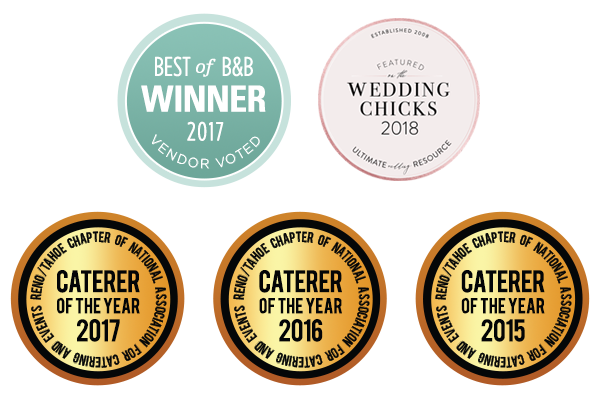 Looking for a caterer for your Summer Event? You’ve come to the right place. Book Blend Today!